There’s a phrase from the 1970s that goes: Baseball, hot dogs, apple pie and Chevrolet. 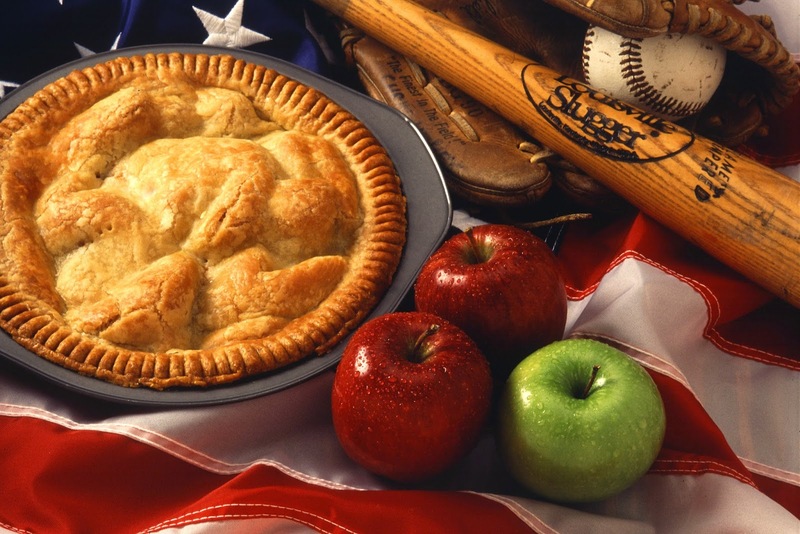 It was used as an advertising slogan by an automobile company but has its origin is World War II when soldiers said they were fighting “for Mom and apple pie.” Regardless of where they came from, the phrases are now used to refer to something that is considered typically American. Holidays are a important part of every culture and there are a number of holidays that are considered typically American, such as Flag Day and Thanksgiving. Others are unique to the United States, such as Martin Luther King Day and Presidents’ Day. Many of these holidays are observed by schools. But ELLs who are immigrants often do not know how and why some American holidays are celebrated. 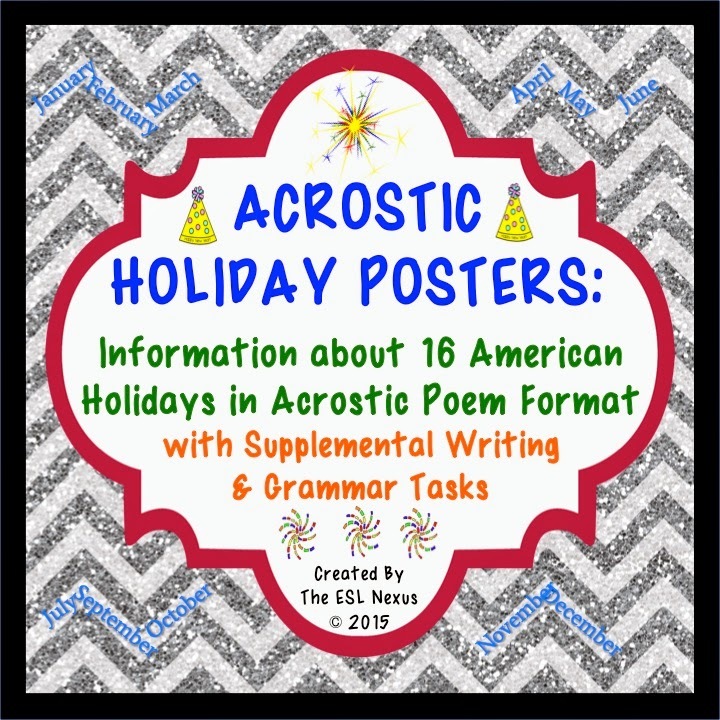 Explicitly teaching about American culture may not be a priority for schools but can be incorporated into language arts and social studies lessons by reading and discussing informational texts that provide information about holidays. Helping ELLs acquire this kind of background cultural information is essential to helping these students feel a part of their classroom and community and adjusting to living in the U.S.
To that end, I just created a series of posters about American holidays that is designed to teach not just ELLs but students in general about the history and customs of major non-religious holidays that are celebrated in the U.S. A few writing and grammar activities are included in the product to extend the learning opportunities. 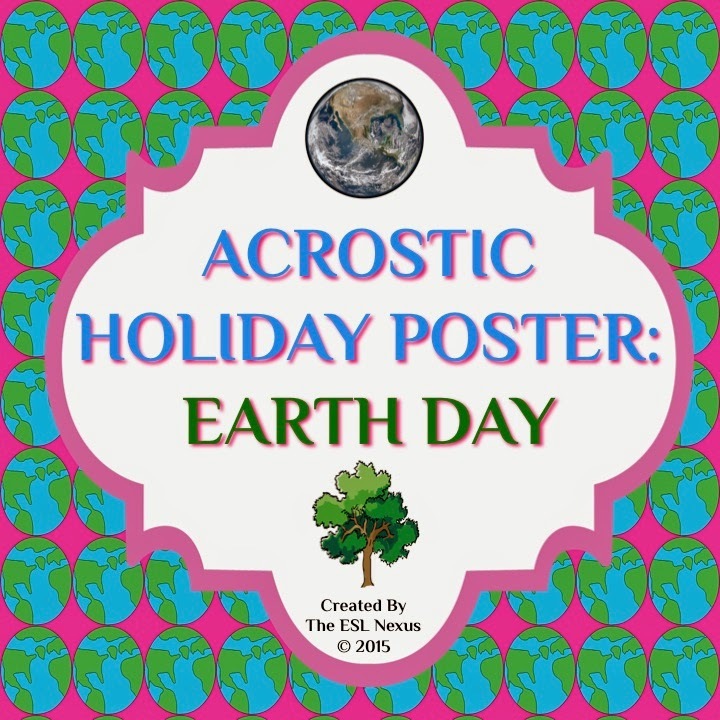 To give an idea of what the posters are like, the one for Earth Day is a free sampler. As someone who majored in anthropology in college and has lived and worked abroad, I have always enjoyed learning about holidays in other countries and teaching about American culture. 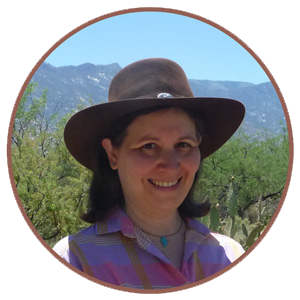 Now, I am happy to share my knowledge of American holidays with K-12 students in the U.S.